Jose is not even going to go through the motions on this one. Rather, he will back away from the elegant charade that there is any empire in this age, or any other, that can capture the madness of Julian Tavarez. Neither the Rome of Caligula, the emperor who made his horse a Senator, nor the British Empire run by the mad king George the III can fully capture the lunacy of Tavarez. To find an appropriate imperial analogy one must shake off the bonds of our reality and slip through the looking glass to the world of fiction. And there, only there, does the answer become clear. The correct analogy for Julian Tavarez is the Galactic Empire. Let’s break down the comparison. For starters, For starters, Tavarez in a batting helmet is not so different from the giant helmed Lord Dark Helmet, played by Rick Moranis. Second, the top two speeds on the spaceship Spaceball One are ridiculous speed and ludicrous speed; those are the bottom two speeds for Tavarez. Third, Jose has heard that Tavarez is known to go around the locker room saying “I see your Schwartz is as big as mine.” Finally, the only thing Jose can thing of that is more improbable than Tavarez’s emergence as a reliable starter is the scheduled resurrection of Spaceballs in animated form this fall. Okay, that’s it. You know, what that’s a terrible analogy. But what else can you come up with for Tavarez? The guy isn’t imperial, he isn’t regal. He is simply effective, fun and more than a little nutty. Actually, that’s a lot like Spaceballs. 2. Tonight the Red Sox make their first appearance at San Diego’s PETCO Park where a certain animal rights organization made headlines by taking advantage of the “Buy a Brick” program, which allowed sponsors to help finance the stadium by purchasing a brick with a message on it. This organization encoded a message the read Break Open Your Cold Ones! Toast The Padres! Enjoy This Champion Organization! If you take the first letter of each word, it spells out BOYCOTT PETCO. That said, this effort did give Jose an idea. With the new Yankee Stadium being built, perhaps there are some opportunities to send a message to the Bronx. Congratulations Loser. Even Moneymen Eventually Need Someone In Search Of Very Enormous, Rotund Professional Athletes In Denial. Jose only regrets that he couldn’t come up with something for. THE YANKEES ARE A CLASSLESS ORGANIZATION THAT HAS SPENT MORE THAN A BILLION DOLLARS SINCE THEIR LAST CHAMPIONSHIP. Today’s volume: St. Josh a Beckett. If Josh Beckett was one of history’s great empires, who would he be? The storic Carolingians? The cunning Merovingians? No, of course not. If that was the case, Jose would have to learn something about those guys. Instead, Jose will compare Beckett to the Empire he knows the most about, his own. Yes, Josh Beckett is the American Empire, the one Jose and probably you, are living in right this very moment. Why? Well, Beckett is young, cocky, and dominant and his dominance will last forever and ever and ever. So what if every other pitcher in history has eventually broken down, grown old and tired and ceded his preeminence. It will never happen to Beckett. Never! U.S.A.!!! U.S.A.!!! Let’s explore the analogy in a bit more detail. In his infancy as a pitcher, Beckett stunned the leading power of the day, the New York Yankees, just as the upstart Americans routed the seemingly invincible British Empire. And like the colonists Beckett made an early tactical error, settling into the bullpen mound, known as Breed’s Hill rather than the Bunker Hill of a game mound. Nevertheless he recovered by refusing to throw until he saw the white’s of the eyes of opposing batters, or in the case of drugged up Jason Giambi, the blacks of his enormous pupils. After that, Beckett spent years being distracted by problems with his own body, namely blistering. Similarly, America spent the 75 years after the revolution struggling with the blister on the finger of the body politic that was slavery. Hmm… You know what? Jose may have just diminished one of the great horrors in U.S. history. Slavery is much more like a cancer than a blister, which would make the U.S. more like Jon Lester, though Lester appears to have recovered from cancer much more quickly and completely than the U.S. recovered from slavery. Well, Jose’s this deep in with Beckett, and he’s sure as hell not going to rewrite, so he might as well continue. Beckett emerged into full prominence with his trade to Boston, much as the U.S. felt its full imperial oats following World War II, and like the U.S. Beckett’s emergence was immediately followed by problems. Much as the U.S. stumbled into Korea and Vietnam, arrogant yet clearly unaware of what it was getting itself into, Beckett stumbled into the American League. And both Beckett and the U.S. thought that the doing the same things that had made them great would keep them great. Beckett kept throwing fastball after fastball, just as the U.S. attempted to fight a conventional war against an unconventional foe, and both got walloped. The U.S. brought its troops home and Beckett brought opposing hitters home, on home run after home run after home run. But the good news is much like the U.S. learned from Vietnam, Beckett learned from 2006. He came back in 2007 mixing in a fearsome curve with his lively fastball and establishing himself as the American League’s leading pitcher. Now, all Red Sox fans should breath a sigh of relief, because if Beckett follows the American path, he will never, ever repeat the mistakes of his Vietnam, the 2006 campaign. As surely as America learned a lesson about fighting unwinable wars with no support from the populace of the occupied nation, Beckett learned to mix in breaking pitches. Crap… we’re going to see nothing but fastballs next year aren’t we? But while Beckett is beloved by Red Sox nation every bit as surely as the U.S.A. is loved by, well, Albanians anyway. (Note: Just kidding Americans love their country, Jose included.) There will be skeptics and critics. Perhaps noted Bostonian and Red Sox fan Howard Zinn will write a book entitled “The People’s History of Josh Beckett” which will harshly criticize his massacre of the Cleveland Indians and Atlanta Braves, gentle tribes who just wanted only to maintain their ways of life. But Josh Beckett will not be deterred. Like America, he is strong, invincible and more than willing to torture his opponents (note: but with fastballs up and in, not water boarding) if it will give him even the slightest edge. 2. Why doesn’t Rococo Crisp like Puerto Ricans? Following a game in which he made a spectacular catch and went 1 for 4, the newly rejuvenated Crisp could have acted like the class act he purports be. He could have thanked God for his gifts and talked about the brotherhood of man, but no, instead he had to act like a reject from the cast of West Side Story. Disgusting. Still there is a bright side, at least Crisp did not go after the DR, because that would have made for a really ugly clubhouse scene. 3. Curt Euro returned to Boston yesterday after a second poor start in a row for an MRI. Thankfully, the results were negative, finding only that Euro suffers from a severe case of “old.” However, doctors did give him a cortisone shot, which will at least ensure that his shoulder doesn’t itch. 1. Today’s KEYS come to you from Melendez U’s department of historical analogy. As Jose watched Curt Euro implode yet again last night, he could not help but draw the horrifying parallels between the righty and the fall of a certain empire, thus he thought it might be a useful exercise to do a series identifying, for each member of the Red Sox rotation, the appropriate imperial analogy. (Note: By useful, Jose means not useful.) Bonus points to any historians who site this edition of KEYS in a book or dissertation. Oh, the glory that was Curt. If Jose was going to write a book this year, and he is, he would be sorely tempted to call it The History of the Decline and Fall of Curt Euro. For the three or four of you out there who may not have read Edward Gibbon’s opus, this means that Jose is comparing Curt Euro to the Roman Empire. When you think about the Curt era in Boston, the comparison is apt. For starters, Jose is pretty sure that Curt’s parents were named Romulus and Remus, either that or he was personally founded by Aeneas, which is downright creepy when you think about it, since Aeneas had sprung forth from the ruins of Troy Glaus. From there, the comparisons only deepen and mature. His astonishing 2004 season is nothing if not a metaphor for the rise of the Roman Republic and the conquest of Italy. How is the bloody sock not an exact parallel to the Roman bloodletting in the Italian boot? Then the 2005 season with his recovery from injury is reminiscent of the First Punic War when Rome, after losing 70 percent of its fleet to storms, rebuilt it in a mere two months. Sure, Curt really took a good ten months to recover from ankle surgery, but what do you want? He’s not made out of wood. Then the 2006 season is the Roman Empire, where Euro, like Julius Caesar before him, made it clear that he had no interest in being part of the Senate. Also, he may have conquered North Africa. Jose will have to fact check that one. And that brings us to today, 2007 and, sadly it looks as though the sack of Curt Euro is proceeding apace, and in consecutive starts the Rockies and Braves have played the roles of Visigoths and Vandals to perfection. And Jose is all too afraid that this weekend San Diego will be the Ostrogoths with Adrian Gonzales playing the role of Theodoric. It is, lamentably, bread and circuses time. Instead of the sustaining conquests of the past, we have the circus that is 38pitches.com. (Note: Okay, Jose loves Euro’s blog, but damn it, he needs to call it a circus for this bit to work.) And does anyone else remember Emperor Nero’s wife Claudia Octavia running an anti skin cancer campaign? But perhaps there is hope. If only Curt Euro would divide himself in half, there is a good chance that his Eastern portion could keep pitching for another 1,000 years or so until Turk Wendell would overrun him. Tomorrow: What Empire does Josh Beckett resemble? 2. According to the Boston Herald, the Red Sox have secretly instituted a policy of ejecting fans who throw home run balls from the opposing team back on to the field. The policy, which the club insists is not new and is merely an enforcement of its broader rule against fan interference, was first trotted out last Wednesday when a fan was ejected after throwing the Rockies’ Brad Hawpe’s home run ball back on to the field. Jose would like to condemn this move in the strongest possible terms. You cannot, CANNOT, start ejecting fans for throwing back home run balls. It is a hallowed tradition, and an integral part of the fan experience. Does the NHL eject fans for throwing hats on the ice after a hat trick? Does the WWF eject fans for throwing soda cups or, perhaps, glass bottles, at heels? No, of course not, because it is tradition! And yet here are the Red Sox wanting to curtail a completely harmless and fun ritual. What’s next, ejecting fans for singing “Take Me Out to the Ballgame?” Arresting people for chanting “steroids” at Jason Giambi? Ejecting fans for hurling empty plastic bottles on the field after Tim Tschida calls an out when Chuck Knoblauch wasn’t within three feet of Jose Offerman? “Safety first” is a fine motto, but there is safety and then there is lame killjoy nannyism. This is the latter. Since this appears to be the call of Dr. Charles Steinberg, a dentist by training, let Jose put it in dental terms. Dr. Steinberg, whenever you give a patient nitrous what do you do? That’s right, you take a little hit for yourself. Yes, it’s not the safest thing in the world, but you do it anyway. And you know why? Tradition. (Note: Cue music.) And without our traditions, our lives would be as shaky as a fiddler on the roof! Which is to say, as shaky as Julio Lugo’s bat. 3. The season hit a low point last night as Willie Harris pounded the Red Sox, reaching base three times on a walk and two hits. If the trend continues, Cesar Crespo will have a game winning RBI tonight and Billy Ashley will bat and not strike out tomorrow. 1. He like us. He really likes us. Yes, it turns out that Barry Bonds “The Dirtiest Player in the Game” to borrow a epithet from Ric Flair, discovered that he likes Boston. During a press conference Bonds told the local media “This is a beautiful ballpark. This is a beautiful city. San Francisco’s streets are a little bit dirty and stuff like that. Being around here and walking around town it’s very clean and a nice town.” Funny, Jose would have imagined that Bonds decided he like our little burg after the Boston Police Department steroids scandal broke. Go figure. Yes, Barry Bonds likes us, and Jose is so… so… happy? Jose doesn’t exactly understand why, but he is grateful, genuinely grateful and relieved that Bonds has nice things to say about Jose’s beloved city. For whatever reason, when it comes to Boston, Jose is like a puppy desperate to be patted on the hand and scratched behind the ears, even if it is my a cruel and drugged up stranger, with an enormous head and well-beyond 700 home runs. Barry Bonds may like Boston, but Jose does not like Barry Bonds. He doesn’t like that Bonds is a cheater, and the fact that he appears to be near universally disliked by his teammates makes it worse. To Jose, being a jerk is a far bigger sin than being a cheater. Bonds is arrogant, self-righteous and cocky beyond belief. And yet when Bonds condemned Boston as a “racist city” when the Sox were playing in San Francisco a few years ago it stung Jose. It shouldn’t have. It is not as though some giant of justice like Andrew Young or Spiderman was condemning Boston. It was Barry Bonds, among the most privileged, and nasty, athletes in U.S. history. But it still hurt. Still, the cloying praise has had its effect, and Jose has now turned the corner on Bonds, and adopted a new, pro-Bonds perspective. Barry Bonds is not using performance enhancing drugs. Nope. Someone with such nice things to say about Boston can’t be using steroids. It’s impossible. So Jose has come up with an alternative theory. Sometime in the lat 1990s, Bonds was inadvertently subjected to a huge blast of gamma rays. It explains everything. When Dr. Bruce Banner was subjected to gamma rays he gained huge strength as The Hulk? Barry Bonds has gained huge strength, check! When laborer and high school dropout Samuel Stearns was bombarded by gamma radiation his head swelled to enormous proportions and he became know as The Leader, The Hulk’s arch enemy. Does Bonds have a giant head? Yup. It’s well know that radiation will shrivel one’s testicles, so Bonds incredible shrinking balls are covered by the gamma ray theory as well. The only question that remains is why didn’t Bonds turn green from the gamma rays? But there is an explanation. Bonds was green before. He was green with envy for all of the acclaim that fellow dopers Mark McGwire and Sammy Sosa were getting for their home run exploits. Since Bonds was already green, the gamma rays wouldn’t make him any greener. That said, they did add a lot of green to his bank account. So congratulations to Barry Bonds on being cleared of steroid use. Jose recommends that, in order to clear up further confusion you take a super being nickname. Unfortunately, “The Abomination” is already taken by another gamma powered villain. Which is the real Barry Bonds? 2. As long as Jose is in a comics mood, he might as well address the new Fantastic Four film. Even though the first Fantastic Four film was a crime against comics, Jose was prepared to see the second one for no other reason than to see Galactus, the devourer of worlds who constantly eats planets to feed his ravenous hunger. Galactus is one of Jose’s all time favorite super villains, powerful and complex and with cool head gear. Also, he coined one of Jose’s favorite phrases “The Hunger Gnaws.” But then Jose learned several days ago that Galactus appears in the movie as just an enormous miasma of dust and debris. Thank God Jose found out before plunking down ten dollars to see the movie. Do you know what that would have been like? It would have been like going to see a really horrible baseball team, let’s say the San Francisco Giants, just to see Barry Bonds play. You’re all excited and then when you get to the game, no Bonds. No, instead of Bonds, the Giants have a big cloud of dust batting cleanup. How lame would that be? Of course, the cloud of dust would play a superior leftfield to Bonds, but that’s not the point. 3. As you know, Jose is on his fourth year of writing KEYS now, and the rewards have been, modest, let’s say. A few books sold here, a T-shirt sold there. Maybe a grateful fan offers Jose a ticket to a game, which is nice, but Jose ends up always buying food and drink, because that’s the kind of guy he is. But now things are finally going Jose’s way. The world of public relations has finally gotten to the point where they have the wherewithal to do things like bribe Jose to write about their products. That’s right, they didn’t ask Jose to do a review, they flat out bribed him to do it. And Jose says kudos! Jose want’s to be as clear as possible that this space is absolutely for sale to anyone who will give him schwag. Jose especially reaches out to the PR department for the WWF who keeps sending Jose press releases but has not offered him so much as a Steve Austin foam middle finger for his troubles. 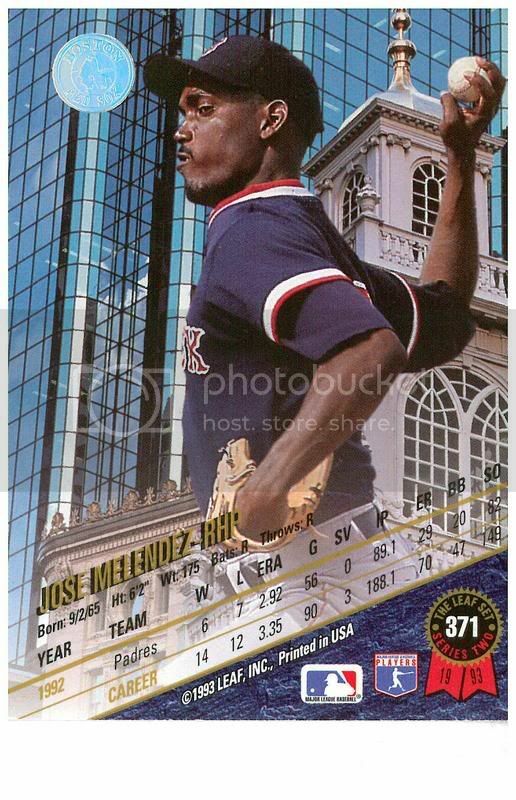 Anyway, the 2004 Red Sox ALCS/World Series DVD collection came to Jose absolutely free the other day, and let Jose say, it is fantastic. He hasn’t opened it yet, but he watched it when it happened, and he remembers it being great. If you want this handsome set, normally priced at $129.95, you can get it now from A&E at a tremendous discount. All you have to do is start a Red Sox blog and get on their press list and they will send it to you absolutely free. It’s a tremendous value! That or you can click on this link and pay for the privilege. Either way, the important thing is that PR Flacks take note and send Jose more free stuff.